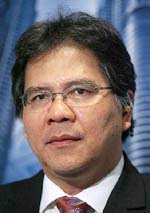 Dato' Sri Idris Jala attended the PwC Global CEO Survey Dialogue on the 3rd of March, 2011. He was not made fully aware of the fraud allegations against PwC and Chin Kwai Fatt, and blames PEMANDU for it. Dato' Sri Idris Jala is understandably miffed at being unaware of the many questions which PwC in Malaysia is trying to get away from answering. First of all there is the matter of PricewaterhouseCoopers Consulting Sdn Bhd (464379-U). In 2002, IBM Corp acquired PwC Consulting worldwide, which includes PricewaterhouseCoopers Consulting Sdn Bhd (464379-U), the consulting arm of PricewaterhouseCoopers in Malaysia. Instead of disposing PricewaterhouseCoopers Consulting Sdn Bhd (464379-U) as required, PwC Malaysia and Chin Kwai Fatt did this. A company known as PricewaterhouseCoopers Consulting (East Asia) Sdn Bhd, was renamed as PwC Consulting Malaysia Sdn Bhd (289801-A) on 20-11-2001 to fulfill the terms of the global acquisition of the PwC consulting business. Dato' Sri Idris Jala is understandably miffed at PwC Malaysia. PricewaterhouseCoopers Consulting Sdn Bhd (464379-U). In order to complete the sale of the 'sham' company known as PwC Consulting Malaysia Sdn Bhd (289801-A) to IBM Corp, Chin Kwai Fatt & Co hired a couple of 'sham' Directors into that company. 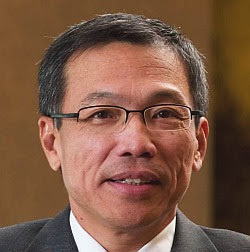 They hired a Mr Foong Weng Chee as a Director in PwC Consulting Sdn Bhd (289801-A), even though he has his own accounting firm called Foong Weng Chee & Co, and has been running it since before 2002, and has never been involved in the PwC Consulting business in any way. They also hired a Ms Chu Kum Yoon, a Company Secretary as a Director in PwC Consulting Sdn Bhd (289801-A), even though she also has never been involved in the PwC Consulting business in any way. They also hired an audit company (whose engagement partner had been charged by the Securities Commission for abetting a listed company in submitting false information to Bursa Malaysia) called Roger Yue, Tan and Associates, as the auditors for PwC Consulting Sdn Bhd (289801-A). Dato' Sri Idris Jala did not know this, or he would have wondered why the largest audit firm in the country would use the services of a tainted auditor for its own consulting company. Chin Kwai Fatt & Co did all this even though the then Chairman of PricewaterhouseCoopers Malaysia, Raja Tan Sri Dato' Seri Arshad,signed a sworn statement in which it is attested that PricewaterhouseCoopers Consulting Sdn Bhd (464379-U) is a member firm of the global organisation of PricewaterhouseCoopers. Dato Sri Idris Jala also did not know, that Chin Kwai Fatt went to the extent of signing a false declaration in 2008, that the firm of PricewaterhouseCoopers Consulting Sdn Bhd (464379-U), at the date of the signing is able to meet its liabilities as and when they fall due, without disclosing the several hundred million in contingent liabilities hidden in it. Chin Kwai Fatt did this even though he knew that in another sworn statement by Dato Johan Raslan, the current Chairman of PwC in Malaysia, it is stated that the Court of Appeal finds that the claims made against PricewaterhouseCoopers Consulting Sdn Bhd (464379-U) by its various creditors, could not be said to be manifestly unsustainable. Dato' Sri Idris Jala did not know that Chin Kwai Fatt had so brazenly signed a false declaration, even though without a doubt, Chin cannot state that PricewaterhouseCoopers Consulting Sdn Bhd (464379-U), is able to meet its liabilities as and when they fall due. Would Dato' Sri Idris Jala been as happy to accept the invitation from PwC to attend the PwC Global CEO Survey Dialogue if he had known all this and more?